Our instant Lonicera hedging is an immediate solution to planting a small hedge. Lonicera nitida (also known as Wilsons Honeysuckle) is a very useful evergreen hedging plant and is a good substitute for Box. It makes a small hedge up to 5ft high and clips well into a neat and formal looking hedge. It has a very small round leaf and is often mistaken for Box hedging but grows very much faster and has smaller leaves. It will grow on dry sandy soils as well as chalky soils but does not like waterlogged ground. We usually stock suitable sizes of Lonicera nitida suitable for making small hedges in your garden.  Scroll down for more information on the plants we have available or call us on 01252 714552 for details. Why should I plant a Lonicera hedge? Lonicera nitida is an extremely good evergreen small hedging plant which clips tightly into shape and has a mass of extremely small dark green leaves. It is a good substitute for Box. It can be used in many situations around the garden for growing hedges of 2ft (60cm) in height up to 5ft (150cm) in height. 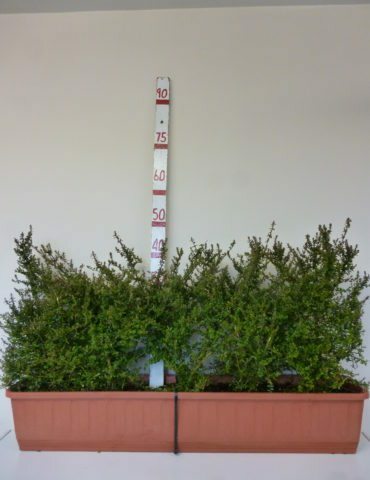 How tall will Lonicera grow? Lonicera are best kept as small hedges. Although it can be grown up to 5ft (150cm) in height, most Lonicera hedges we see are grown nearer to 2-3ft (60-90cm) in height and will form a dense tidy hedge at that height. How quickly will a Lonicera hedge grow? For a small hedging plant, Lonicera is relatively fast growing and it will put on about a foot (30cm) of growth a year if left untrimmed. If you are looking to grow your Lonicera hedge to a greater height than purchased, it should be trimmed back once a year before letting it grow taller as it will prevent it getting too woody and spindly. When should I clip or trim a Lonicera hedge? Lonicera hedges respond extremely well to clipping and we would recommend that they are trimmed twice a year to keep them neat and dense. Trimming can be done any time in the spring or autumn. How far apart should I plant Lonicera hedging? We recommend that Lonicera should be planted at 4 or 5 to the metre in a single or double row. Is Lonicera tolerant of different soil types? Lonicera will tolerate most soil types (except very waterlogged soils) and does particularly well on dry soils.